First things first- you will have wind...every single day. No waiting, no wasted money on kite holidays where you are left on land with no wind. Students progress very fast here, thanks to being able to go out learning and riding every day. Another advantage for our students is that all lessons are private or semi-private at the very least, guaranteeing much faster and safer learning than group lessons. 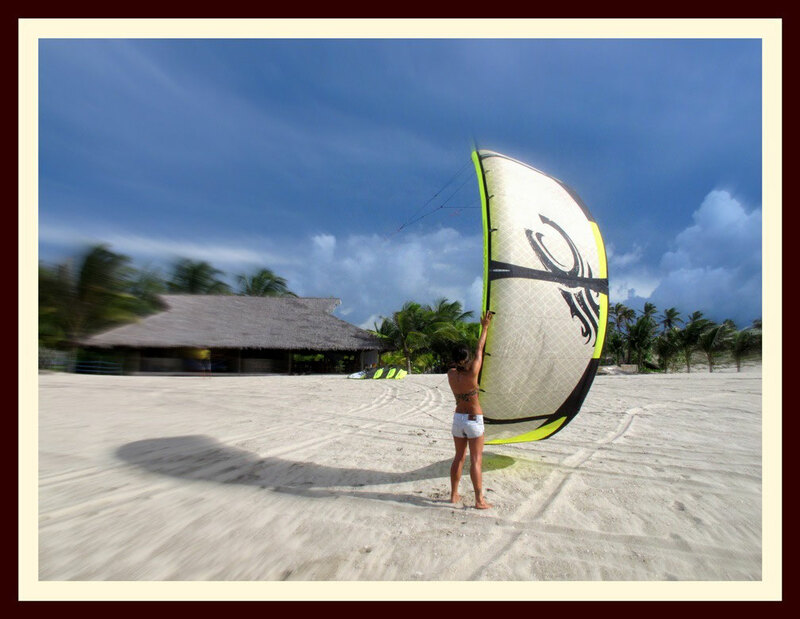 Our instructors are all licensed (IKO or VDWS), but of even higher value, they are all very experienced in instructing and kitesurfing. We use the latest Cabrinha kites (www.cabrinhakites.com) in different sizes, depending on the student and strength of the wind. At BLU Kiteschool, unlike many other schools, we use radio helmets, allowing us to correct or advise you while you are out in the water which we find infinitely better than teaching on shore. Lessons take place at Prea Kitebeach (due to the wind direction and conditions it is not possible to teach directly in Jeri). 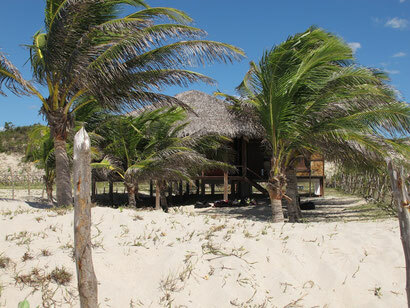 Prea Kitebeach is located 10 km from Jeri, with a constant side/onshore wind. There we have our base directly at the beach, with showers, shade, music, hammocks and drinks. A familiar place, perfect to learn, improve and relax. 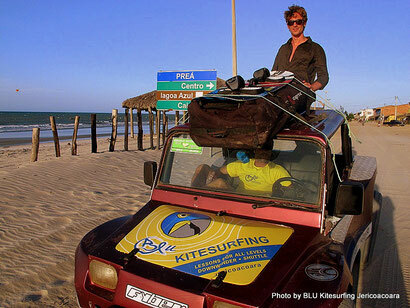 Our Team picks you up from your hotel, and takes you to our kitespot by buggy, a nice little brazilian experience! At BLU Kitesurfing, safety comes first... always! For this reason, we use only the latest kite equipment together with the latest and best safetytools. We teach with radio helmets which maximise your kiteboarding experience: you get the information and help at the time you need it - not 5 minutes later when you come to shore! We have found they make learning even more easy, and of course...safe.